A couple weeks ago, I made delicious vegetarian huevos rancheros for Cinco De Mayo! 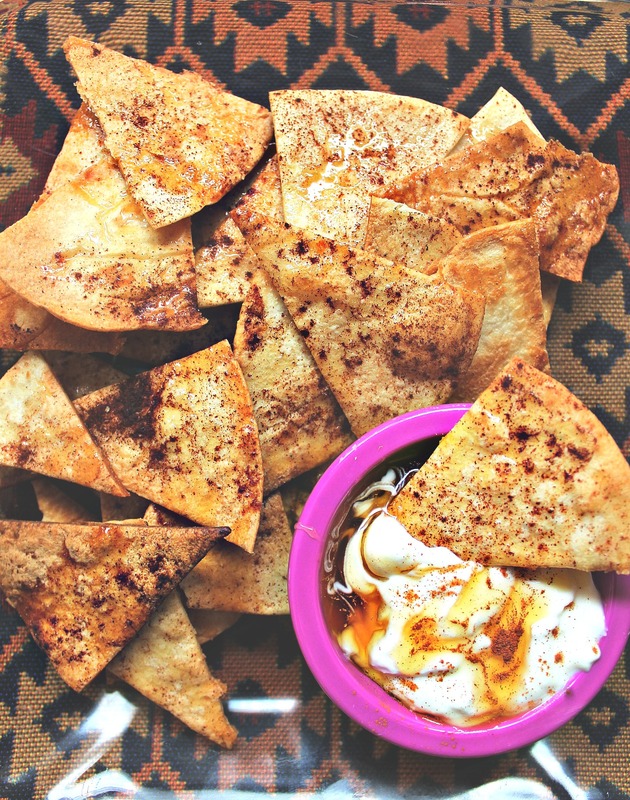 I had a stack of leftover tortilla shells and I didn’t want them to go stale, so I decided to bake them into sweet and savory snack crisps. 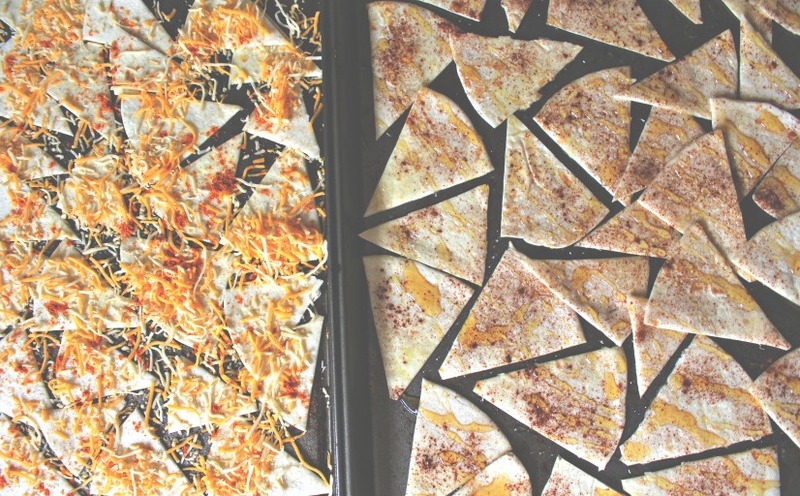 The snack crisps are super easy and quick to make. They can be stored in a ziplock bag or a container for a long shelf life. They’re perfect for party chips, road trips or on top of salads. I used kitchen scissors to slice up the tortillas. You could also use a pizza cutter. Preheat oven to 350 degrees. 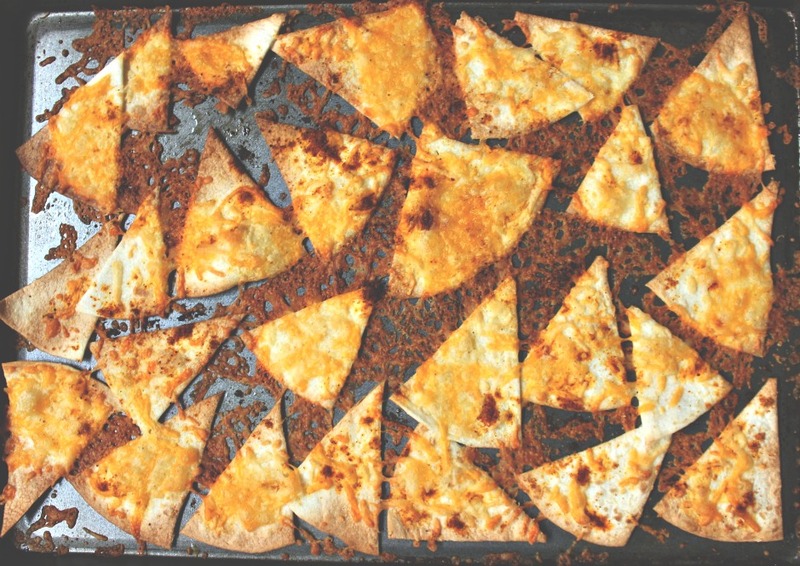 Grease a baking sheet with cooking spray and lay the tortilla pieces on top. For my sweet crisps, I sprinkled ground cinnamon on top with a honey drizzle. 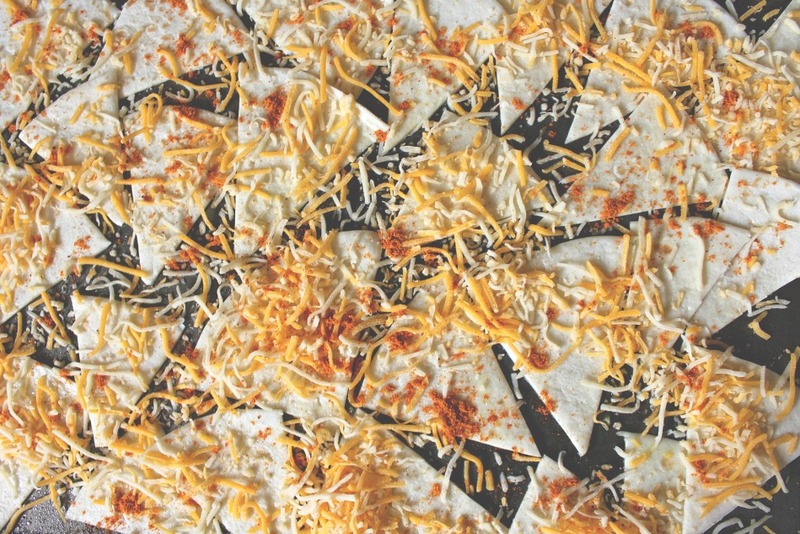 For the savory crisps, I sprinkled taco seasoning on top with shredded taco cheese. Bake 8-12 minutes. They bake really fast, so you have to check them frequently. The edges will be lightly brown and the centers will be soft. Let the crisps cool before removing them from the pan. The cinnamon honey flavored crisps were so delicious. They reminded me of the fried cinnamon sugar crisps my mom would make every fourth of july. You could make an icing for the dip or mix vanilla Greek yogurt with honey. They would also be delicious on top of a bowl of vanilla ice cream or with a fruit salsa. 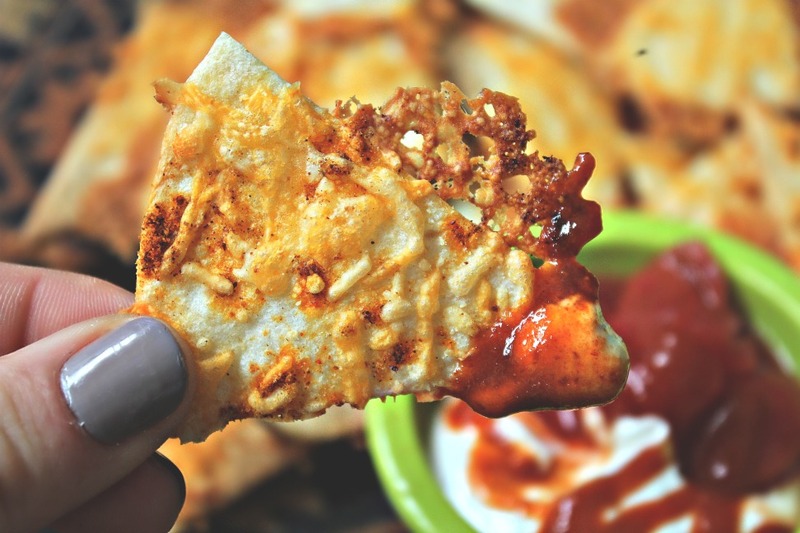 The cheesy taco crisps were super delicious too and would be amazing on a taco salad or with a layered taco dip. 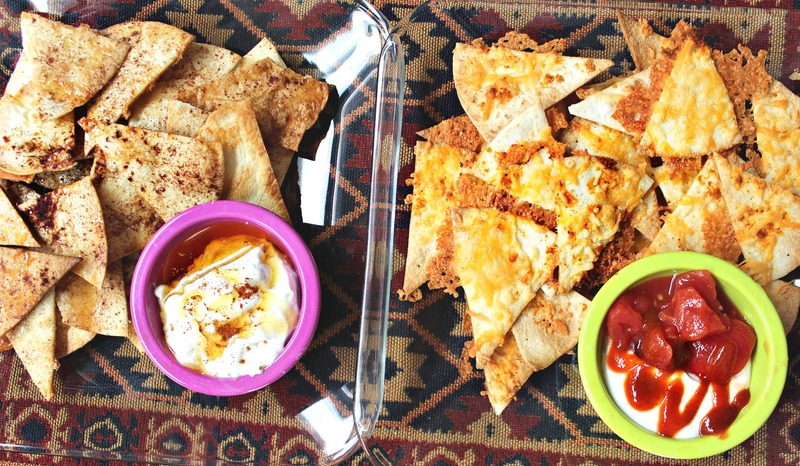 I mixed sriracha, sour cream and salsa together for the dip! 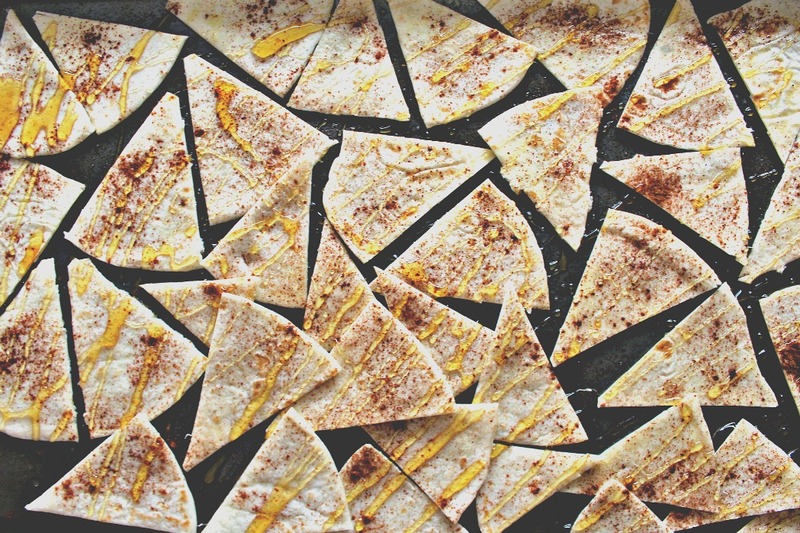 What do you like to do with your leftover tortillas? 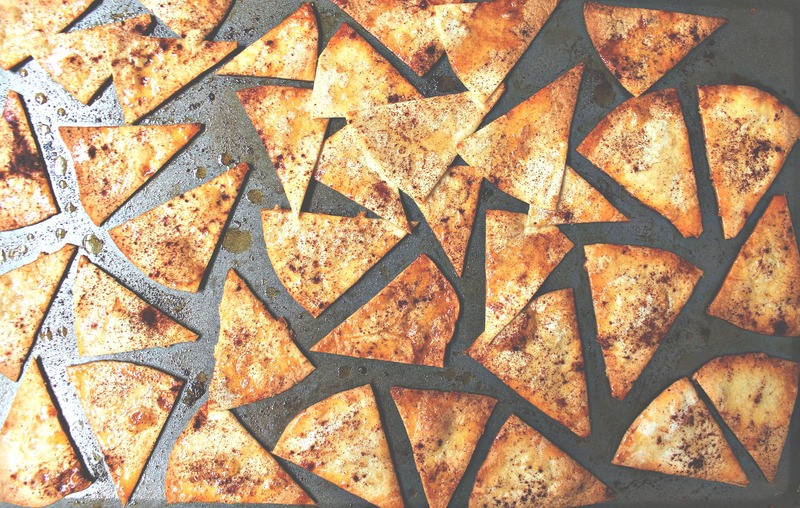 What flavor combo would you make with these baked crisps? Like more easy combos like this?! Hey! I make PB&J quesadilla’s out of my leftover tortillas. Just spread some almond butter on one tortilla and whatever jelly you like on the other, bake separated on a baking sheet for a couple mins then press together and cut into triangles. I love them with a cold glass of almond milk! Trying the sweet version tonight so I have a sweet treat after dinner, just enough for one serving. This is a yummy idea! Did you flip them halfway? sweet! okay thanks! I’ll definitely make a version of this! probably savory first! Those look fantastic. You always have the best ideas! I do not. I know it may seem sad, but I told myself that if he and I were to ever split that Tino is his and that is something I prepared myself for. I don’t believe in staying in contact with exes, even if that means I will not be able to see Tino. I wanted a new chapter in my life and that means cutting all ties. I know he’s ok and in good hands, which makes me feel better about it. I will have to! Have a recipe for me? ohhh yum!! I can’t wait to try both! 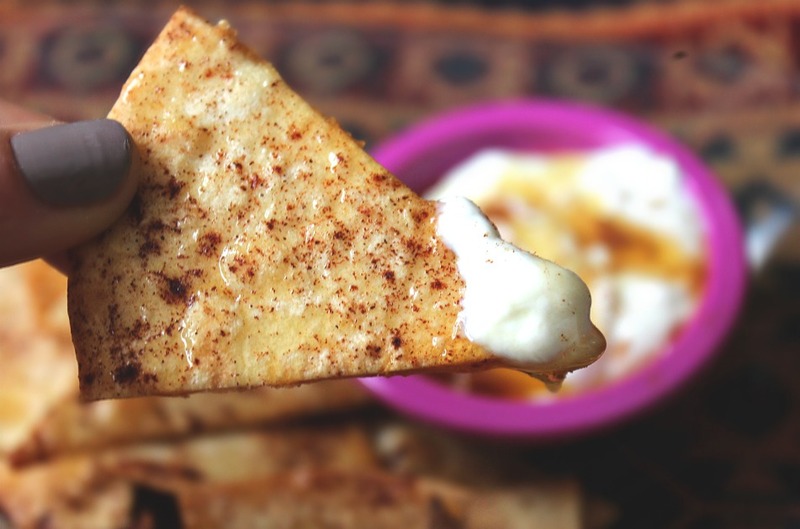 The yogurt with honey looks like a perfect dip for them! Don’t the ones with cheese need to be refrigerated? Oh yum what a perfect idea! I’ve got so many tortillas in my fridge it’s ridiculous haha They put like 30 in the bag and I only ever need 1 or 2 so they sit in there forever! I’m going to try making these tonight! I think I’m going to do a batch of each of these! your recipes are also perfect because I have sour cream and salsa to use up. 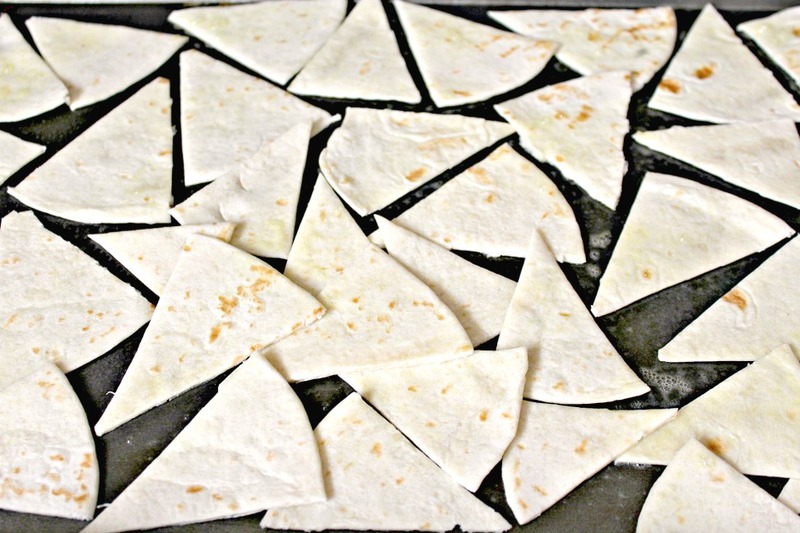 Another combo I might try is doing garlic powder or garlic salt on the tortillas and making garlic chips out of them! Those would go with a lot too! These look GREAT!!!! I love the cinnamon sugar idea. They would be great to make for a girls night or movie night. I also think garlic would be good for dips, lime juice for mexican (kind of like Chipotle’s chips) and also lemon herb!!! 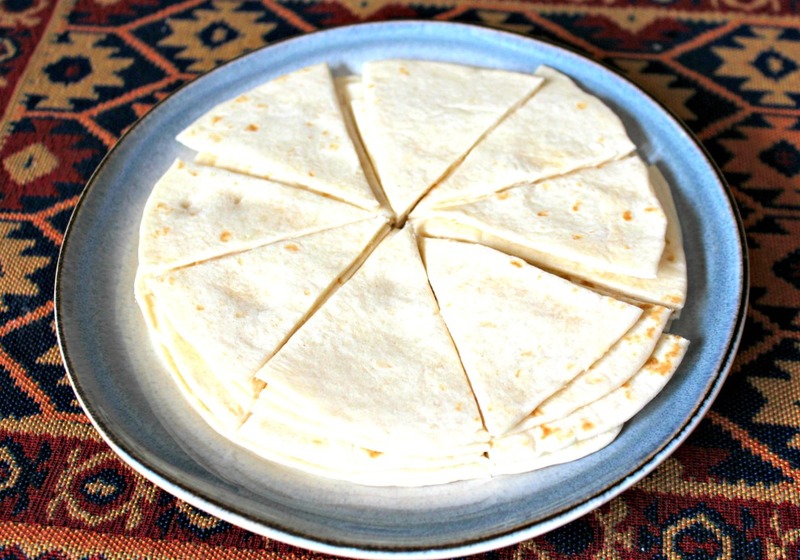 I always have tons of leftover tortillas so I am definitely going to make these! I think I will try the sweet ones first! 🙂 I have such a sweet tooth so I know I’ll love them! I may make both and take them to our bbq this weekend!